Tap Music in the Dock on the bottom of the Home screen. The Music app opens to the page you were on last. 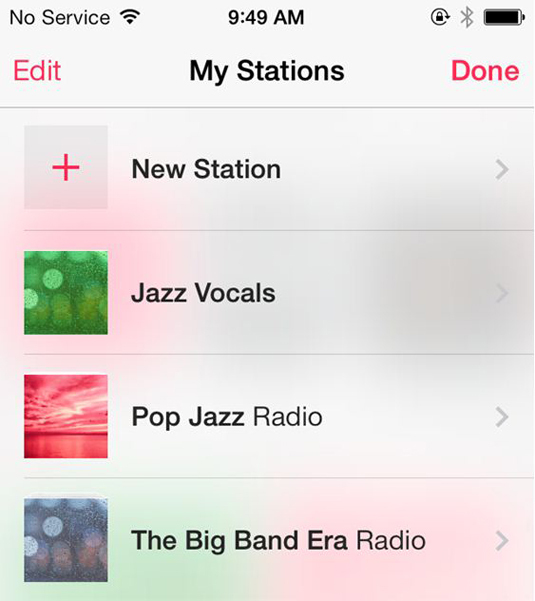 Tap the Radio icon in the lower-left corner and in the My Stations section that appears, tap Edit. 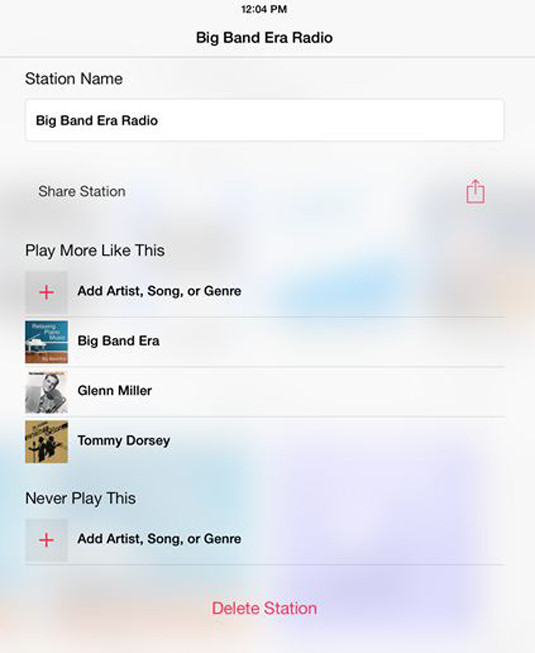 The list of your iTunes Radio stations appears. Tap the station you want to edit. You can edit the station name, share the station, delete the station, and set station content preferences here. If you change your mind at any point before completing an edit, look for the Cancel button in the upper-right corner. In the Play More Like This setting, tap the Add Artist, Song, or Genre button. The Search field and keyboard appear. 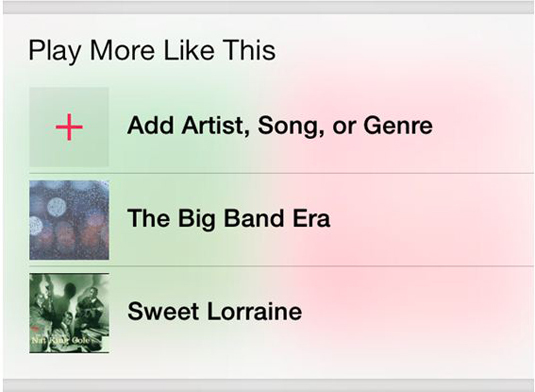 Enter an artist, song, or genre in the Search field and then tap an item in the results that appear. Your selection appears in the Play More Like This section. If there is something you absolutely don’t want to play on your station, tap the Add Artist, Song, or Genre button in the Never Play This section. Your selection appears in the Never Play This section. Hit the back arrow in the upper-right corner to return to the My Stations screen. Tap Done in the upper-right corner to finish editing your station. 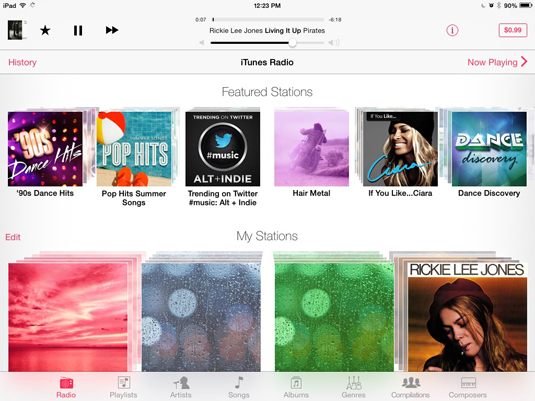 This returns you to the main iTunes Radio screen.